Well, it's got to stop. That's why 'Access Israel' decided for the December 3rd "International Day of Persons with Disabilities", to put a face on people with disabilities. 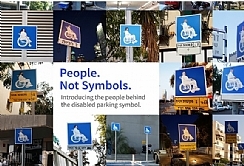 The NGO decided to raise the public's awareness to the issue by replacing the disabled icon on thousands of disabled parking signs throughout the country with the picture of real disabled people. 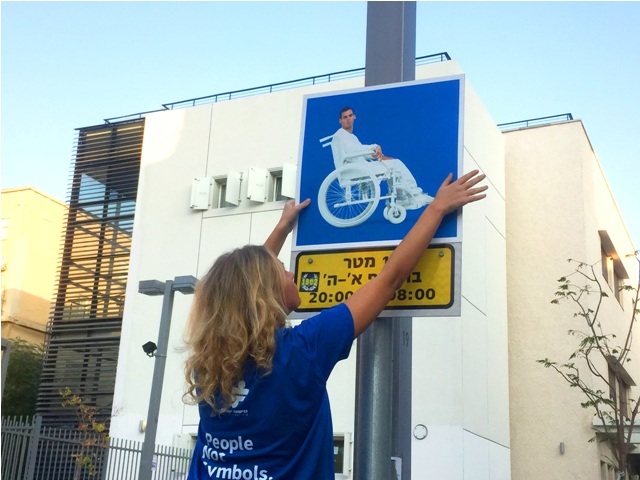 To do that, we photographed a total of 52 people including well-known disabled Israeli Parliament Members and Paralympic Medalists and uploaded their stories onto a dedicated website where people could read more about them and how they came to be disabled. According to Israeli Police figures, more than 20,000 fines are handed out every year. Each year those numbers have　increased, proof that disabled parking infractions are not only common but growing. The project which was launched via a teaser campaign a few days ago, will go live on December 3rd with 12 agency teams spanning out over the country's cities and replacing signs overnight. In places where we ran our test trials, the very action of replacing the signs with people's faces sparked interest and debate. So this is bound to get interesting and create traction. Ah, and in case you're wondering we placed some hidden cameras to measure the number of infractions per hour – the results will leave you speechless.